Although many people avoid nuts and seeds because they perceive them as being loaded with fat, they are a vital part of a healthy diet according to Dr. Edward Group, contributor to the Global Healing Center. Both nuts and seeds provide protein, vitamins and minerals. Many types of nuts and seeds also offer essential fatty acids, which are necessary for the maintenance of healthy skin and other body functions. Always buy organic nuts and seeds and choose raw products instead of roasted seeds and nuts whenever possible -- organic products contain fewer pesticides, so they introduce fewer toxins into the body. Non-organic macadamia nuts, cashews and walnuts tend to contain particularly harmful pesticides according to the Grinning Planet website, so you should always buy these nuts organically. According to Dr. Group, almonds are rich in magnesium; a handful of organic almonds provides about 25 percent of your daily requirement of this mineral. Almonds are also rich in calcium, vitamin E and selenium. The fiber in organic almonds may help lower the risk of colon cancer and may help reduce cholesterol levels in the bloodstream. Organic pumpkin seeds provide plenty of essential fatty acids according to the Veg Health Guide website. They also contain a wide range of vitamins and minerals, such as potassium, magnesium, zinc, iron and vitamin K. Pumpkin seeds are thought to promote prostate health and strengthen bones in men. They may also have anti-inflammatory properties that could help people with arthritis. Walnuts are loaded with an antioxidant called ellagic acid, which may help fight free radicals and reduce the risk of certain types of cancer. They also contain 16 different polyphenols, which are chemical groups that help ward off disease. 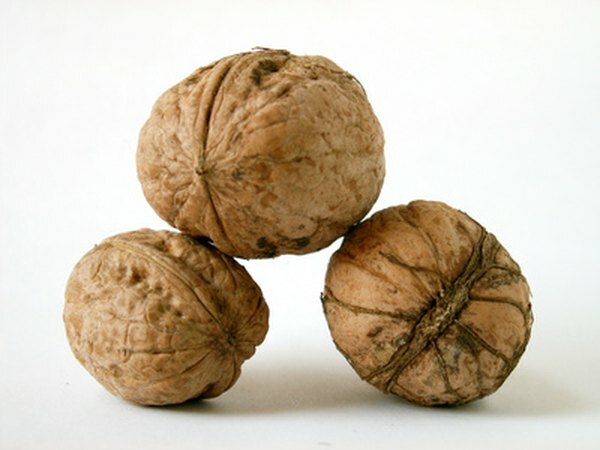 Some researchers also believe that the consumption of walnuts can help improve brain function notes Dr. Group. Organic sesame seeds are rich in copper and manganese, as well as phosphorus, iron, calcium and magnesium according to the Veg Health Guide website. They also contain plenty of dietary fiber, as well as unsaturated fats, which may help lower cholesterol levels. Sesame seeds contain antioxidants, called lignans, which are anti-carcinogens. The Veg Health Guide recommends grinding the sesame seeds before consumption to maximize the absorption of nutrients. There are a variety of other nuts and seeds that you can buy organically. Pecans, cedar nuts, Brazil nuts, sunflower seeds and flaxseeds are all good choices. These foods can help you easily add vitamins, minerals, unsaturated fats, dietary fiber and essential fatty acids to your diet to promote optimal health.